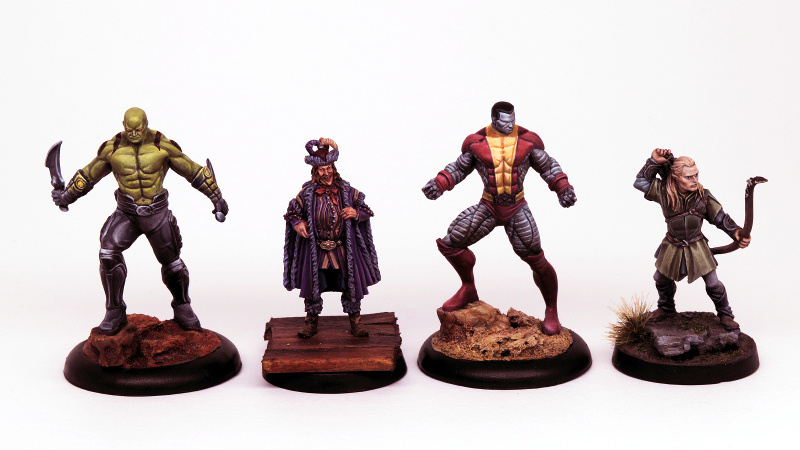 I'm painting the Marvel Universe miniatures from Knight Models for a commission. The cast quality is a little sub-par considering the price. Each model has required a significant amount of work to fix various defects and to fit the components properly. However, once assembled the painting is a lot of fun. The simple comic book design allow me to concentrate on the technique and not waste time on pouches and other extraneous detail. Plus it's not often I get to paint with such bold colours either.